UK podcaster and FOSS advocate. Joe Ressington has hosted 102 Episodes. Flatpak and Snaps get a boost, changes to the Ubuntu community, and development on Ubuntu 17.10 and taken an interesting turn. Plus good news about Firefox and Android updates. Surprising details in how Ubuntu's Gnome desktop is getting implemented, Krita hits some troubles but the community comes to the rescue, Bitcoin splits, Firefox sends, and Red Hat gives up on Btrfs. 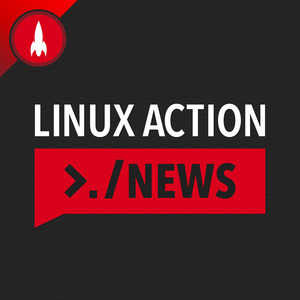 A good week for desktop Linux with news from Ubuntu, Fedora, and openSUSE. Plus our take on the pending death of Flash, some great work by the Debian project, and Mozilla updates us on Project Common Voice. Android for the desktop might be dead, Google Glass is back, Firefox is going extinct, and the latest Ubuntu is ready for a shakedown. More competition in desktop Linux, Debian 9, Tails 3, Firefox 54, FreeNAS 11 & OpenMediaVault 3 get released.